Every year, I find myself spending so much money on plastic bags, juice boxes, and packaging for food for my kids’ lunches. It eats up a big chunk of our grocery bill, not to mention how bad it is for our environment. This year, I vowed that I was going green, and with the help of Kitchen Stuff Plus, we are making it a reality. Kitchen Stuff Plus made it easy and affordable for me to transition into going green, just in time for back-to-school lunches. I got each of my kids a bento-type lunch box, snack containers, reusable lunch bags, and thermoses for drinks for well under what I would spend in a year on drink boxes and plastic bags. Kitchen Stuff Plus is really helping me keep my promise of going green this school year. The bento-type lunch boxes allow me to save because I can make more homemade snacks and lunches than usual and pre-pack them for a few days. 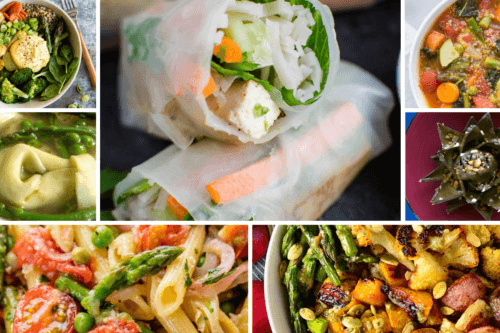 With so many incredible options for my family on a budget, Kitchen Stuff Plus made it easy for me to take care of all our going green back-to-school lunch needs. The first thing we needed were durable, large lunch bags big enough to fit our lunches and these Kitchen Stuff Plus Insulated Trek lunch bags were perfect. Each boy has their own colour and they are large enough to fit everything they need. 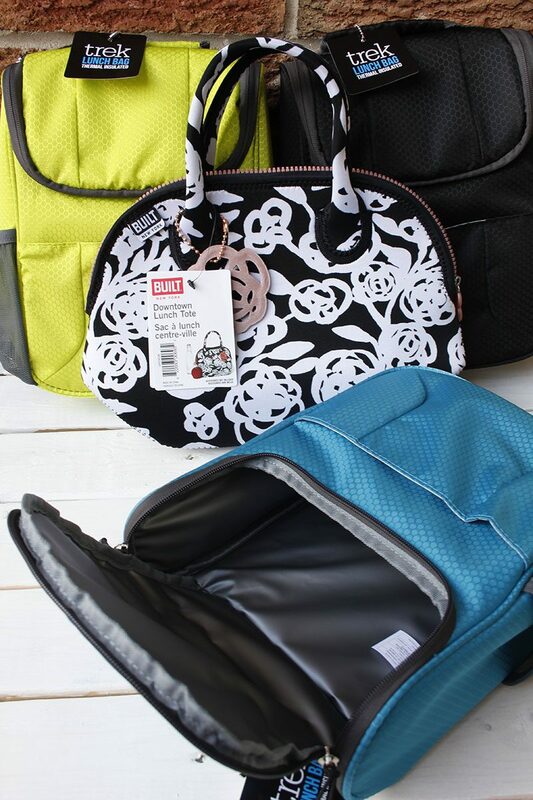 My daughter doesn’t take as much to school, so we grabbed her a stylish lunch tote perfect for my picky stylish teen. Next up, we needed some bento boxes that were able to fit a sandwich or a wrap and at least a snack or two. My kids usually bring 3-4 snacks a day, so the Kitchen Stuff Plus Lunch Pop! bento allowed us to save a ton of plastic bags and since each one has separate areas, nothing mixes up and things like fruit don’t make their sandwiches soggy. 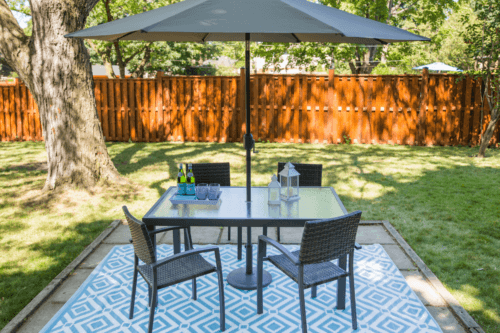 With two different sizing options of rectangle or round, we’ve got all our bases covered. These bento boxes are silicone and fold down for better storage so they won’t take up huge amounts of cupboard space when storing them. 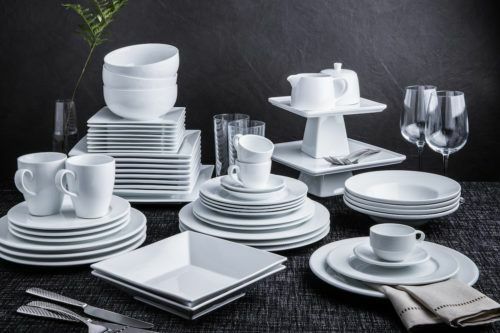 They are easy to wash and the bases are dishwasher safe. I can’t wait to really put these to the test this year! I got two different types of snack containers. One with two large sides that I can use for cut-up fruit, crackers and cheese, or really anything (even homemade muffins and cookies). 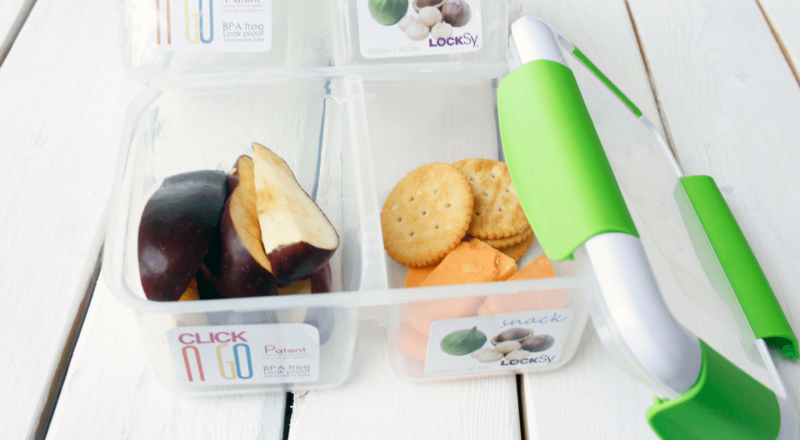 The Locksy Clink n’ Go containers are the perfect complement for all our lunch needs. 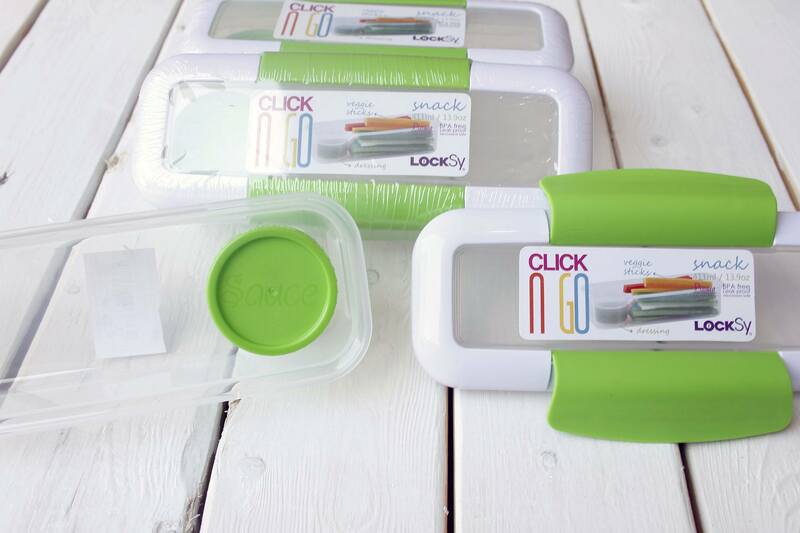 I also grabbed some Locksy Click n’ Go Sandwich containers that will eliminate that squished sandwich we always get when using plastic bags. 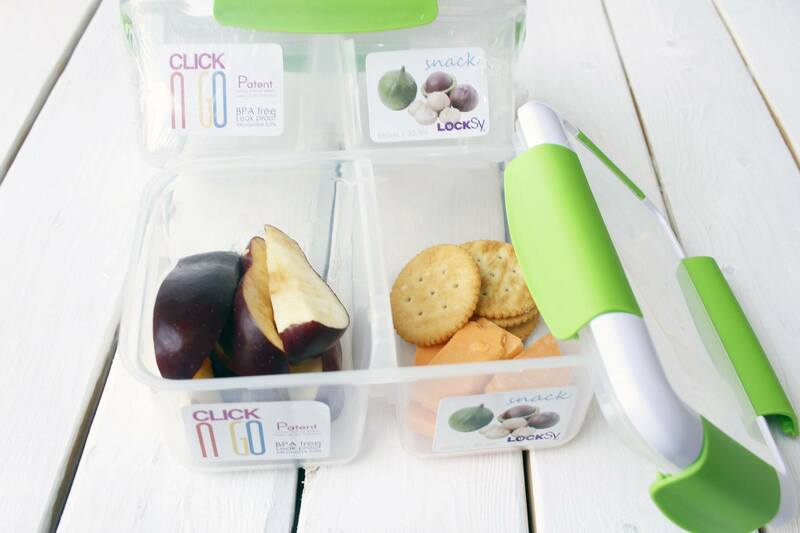 Next are the Locksy Clink n’ Go snack and dip containers. My kids love their veggies and dip, and this container lets me easily separate the two. 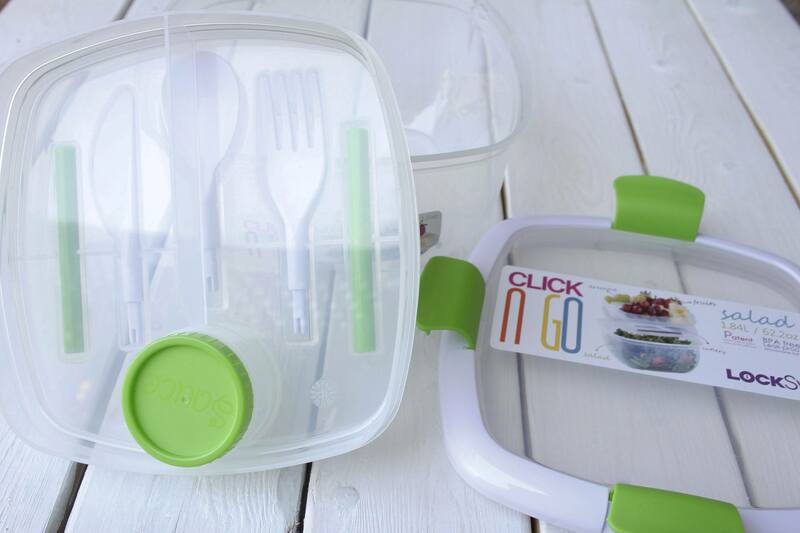 My daughter is a huge fan of salad, so we picked up the perfect Locksy Click n’ Go salad container with a dressing container and cutlery built right in. She can throw a salad together in the morning and since the dressing is separate, her salad stays fresh and crisp until lunch time. We decided on the larger thermos for my oldest son as he drinks more and needs fewer refills at school this way. 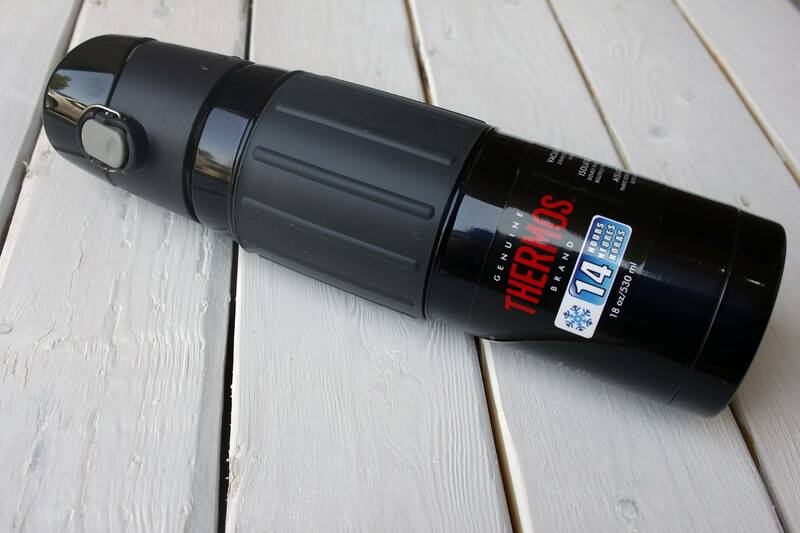 The Thermos Thermax 18oz Water Bottle is the perfect addition to his lunch bag. Kitchen Stuff Plus made going plastic-free for back-to-school this year so easy and with their prices, I was able to do it without breaking the bank. The investment in these containers will far outweigh the cost of using plastic for the whole year and I love that we are going to be adding less waste and helping the environment this way, too. You can check out everything Kitchen Stuff Plus has to offer by visiting them online or in-store for all of your back to school lunch needs. Looking for more ways to go green for back to school? 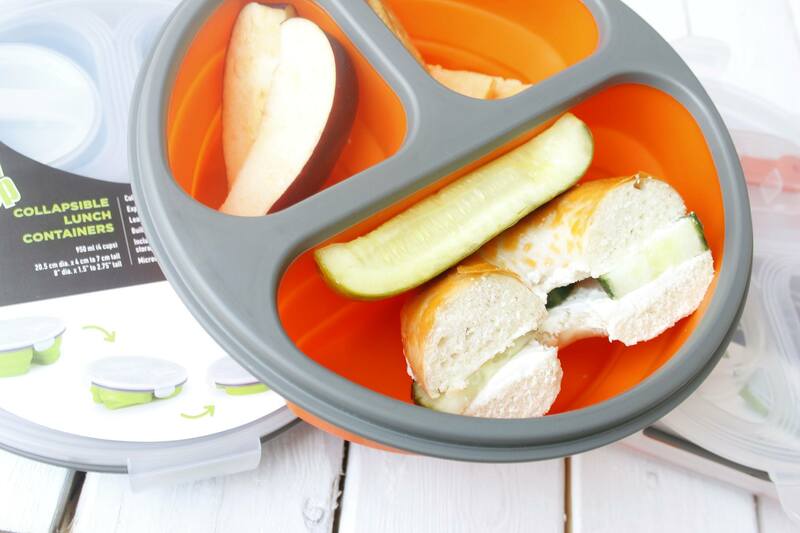 Check out our post about out 5 Tips For Litterless Lunches! Feeling inspired? Check out everything you need with our wide selection of school essentials and see what we’re sharing on Facebook or Instagram. Jessica Terry is the editorial genius behind 4 The Love of Mommy, blogging about the chaos of life with a large family. Located in the Greater Toronto Area, she is a super mom to 5 beautiful children ranging in age from 1 to 14. Jessica has a wealth of parenting experience under her belt and a passion for sharing her life experiences after a divorce, including co-parenting and blended family bumps. Jessica hopes that by sharing about her personal struggles that she may connect with others and help them feel like they are not alone. When she can catch a minute to herself, Jessica enjoys reading, binge-watching the latest shows on Netflix while sneaking some chocolate, and uninterrupted bubble baths! Connect with her on Instagram at @4theloveofmommy.